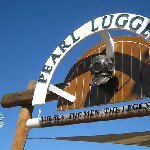 Besides the tour around the pearl farm Willie Creek also offers the Pear Luggers Tour which will take you a step back in history and fill you in on every single fact about the pearling industry and how the pearl farm in Broome became the place it is today. The township of Broome has a great history and at Pearl Luggers, in Dampier Terrace, this value is brought to life with their daily tours. The Willie Creek Boat Cruise.. The site boosts two original pearl luggers and a vast collection of authentic pearling equipment. The presentations take up to 1 hour and will give you a good picture of the pearling town of Broome. You can combine the Willie Creek Pearl Farm Tour and the Pearl Luggers Tour and get a reduction. Both tours will cost you 90 AUD pp if you choose the Coach tour and 55 AUD is your driving to Willie Creek yourself. There are special prices for pensioners, children and families. All tours leave daily and can be booked on the pearlluggers website or by phone on 0891920000. 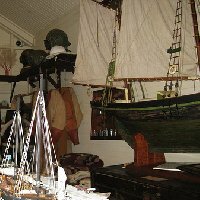 Pearl Luggers is located at 31 Dampier Terrace, Chinatown and if you´re on a self drive tour you should drive up here to join the tour. If you want a pick up you can book this through the same phone number. You can also visit the pearl jewellery showroom here or make your way to the Willie Creek Farm. There´s also a showroom on Cable Beach in Broome. Out of Broome there are two showrooms in Perth and Melbourne. If you want to do a guided Pearl Luggers Tour without visiting the Willie Creek Pearl Farm you can do this also and prices for these single tours are 18,50 AUD per person. Students pay less. Did you enjoy Pearl Luggers Tour in Dampier Terrace in Broome and have you been on a holiday in Broome, Australia? Liked: The history is harsh but very interesting.